Each Pickguardian product is crafted by hand, one at a time, to order. You can choose the material, layout, edge details and other options that aren’t possible with mass-produced pickguards. See what materials we offer. 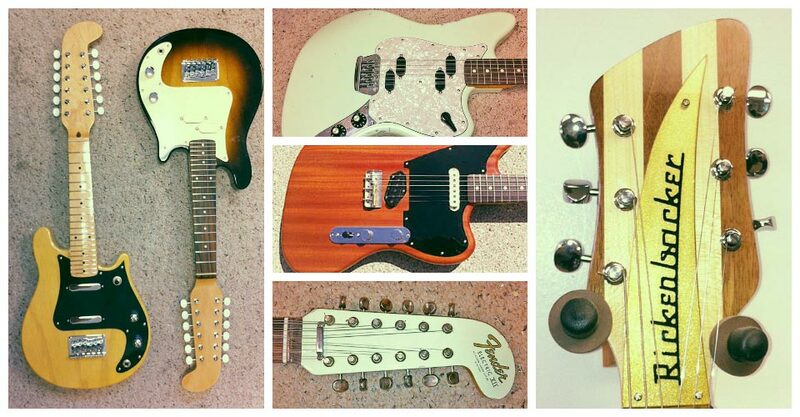 Download Templates to see if your pickguard matches. Learn about bound archtop guards. Personalize with your signature or logo. Personalize with your name inlaid. See some interesting Pickguardian projects. Get inspiration from past Pickguardian projects.